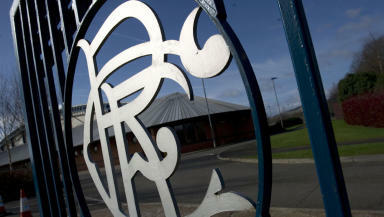 The Ibrox club confirmed its planned CVA escape from administration would now fail. 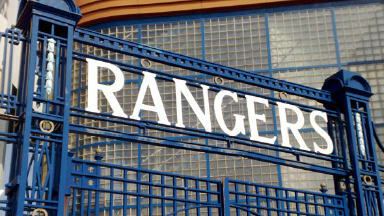 HM Revenue and Customs has signalled an investigation into the financial mismanagement at Rangers after the club moved towards liquidation. 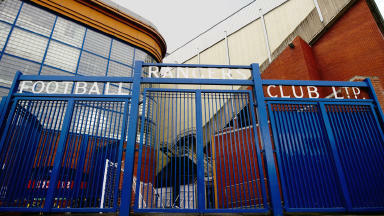 The Ibrox club confirmed its planned company voluntary arrangement (CVA) escape from administration would now fail as the tax authorities revealed they felt it was in the "public interest" to liquidate Rangers FC plc, incorporated in 1899. On Tuesday, the man leading the Sevoc takeover consortium, Charles Green, said he was disappointed that the bid had failed, meaning that he would now seek to buy the club's assets and pay off administrators in a £5.5m newco switch. Neutral insolvency firm BDO will now be appointed as liquidators of Rangers, with their remit including to investigate the years of financial mismanagement at the club. On Tuesday a HMRC spokesman said: "A liquidation provides the best opportunity to protect taxpayers, by allowing the potential investigation and pursuit of possible claims against those responsible for the company’s financial affairs in recent years. "A CVA would restrict the scope of such action. Moreover the liquidation route does not prejudice the proposed sale of the club. This sale can take place either through a CVA or a liquidation. "So the sale is not being undermined, it simply takes a different route. Liquidation will enable a sale of the football assets to be made to a new company, thereby ensuring that football will continue at Ibrox. It also means that the new company will be free from claims or litigation in a way which would not be achievable with a CVA. Rangers can make a fresh start." HMRC also indicated that as things currently stand it did not have any objections regarding Mr Green's proposed newco switch for Rangers. A spokesman said there were "no issues at the moment" over the move, while he added that any concerns about whether the prospective new owner was a "fit and proper person" to hold a position at the club was an issue for the footballing authorities. Malcolm Cohen, BDO business restructuring partner, will be appointed joint liquidator of the old company. On Tuesday, he said: "CVA proposals have been rejected, so the next step for the Company will be to exit administration and enter liquidation. Once BDO is formally appointed, the joint liquidators will be seeking to protect any remaining assets, maximise recoveries for the benefit of creditors, and investigate the reasons behind the failure of the company. "The joint administrators intend to complete a transfer of the business and assets to a new company in the coming days, putting the future of the club on more secure footing. Once this is done, BDO will determine what can be recovered from the remains of the existing company. "It is important to understand that the appointment of liquidators will not mean the end of football at Ibrox - only the end of the company that ran the club. This is the structure that BDO will investigate. It is right that there is a full and robust investigation into why the company failed, together with concerted efforts to recover monies for creditors and the taxpayer. This may include pursuit of possible claims against those responsible for the financial affairs of the company in previous years." 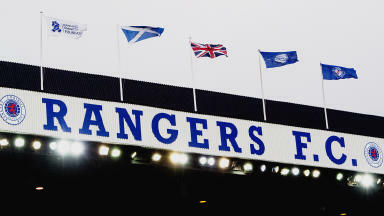 David Lister, head of fraud at insolvency experts Ernst and Young, told STV News that the liquidation investigation will most likely result in forensic accountants going over the books at Rangers and will extend as far back as the mismanagement appeared to have taken place. He also said that similar investigations into liquidated companies have resulted in criminal prosecutions being launched, although he could not comment on what he thinks the outcome of it would be at Rangers. 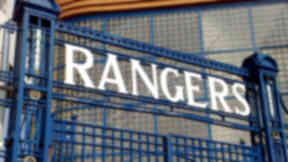 A tax avoiding scheme implemented by former owner Sir David Murray between 2001 and 2010 saw Rangers staff and players paid from offshore employee benefit trusts (EBTs). The club's use of the scheme was deemed to be in breach of tax legislation by HMRC, who ordered them to pay up the millions they had avoided. The Ibrox club appealed this, which is now the subject of the 'big' tax case at the First Tier Tax Tribunal in Edinburgh. The final hearings in the case took place in January and both the club and the tax authorities are still awaiting the outcome of it, which Duff and Phelps said could leave the club facing a tax bill of up to £75m. Sir David's reign at the club also resulted in the 'wee' tax case, over the use of another tax avoidance scheme to pay players Tore Andre Flo and Ronald De Boer between 2000 and 2003. A £3m fee to cover this has been agreed with HMRC, but has not been paid since the club was declared insolvent. Craig Whyte bought Sir David's 85% stake in the club for £1 last May. He used a £25.3m deal with Ticketus for 100,000 future Ibrox season ticket sales to effectively fund his buyout through clearing the club's £18m debt to Lloyds Banking Group. This deal was subsequently torn up by Duff and Phelps after Lord Hodge at the Court of Session found that the London firm did not own the season tickets, but had a personal right to a licence to sell them, which could be breached in the interests of all creditors. Both Ticketus and Duff and Phelps have launched legal action against Mr Whyte, who had agreed to sell his shares to Mr Green for £1 should a CVA be successful.